It was only a couple of months ago that we covered the news that Google and NASA extended their contracts with D-Wave to receive new generation quantum computers as and when they became available. Now Google has announced a breakthrough powered by a D-Wave 2X quantum computer. 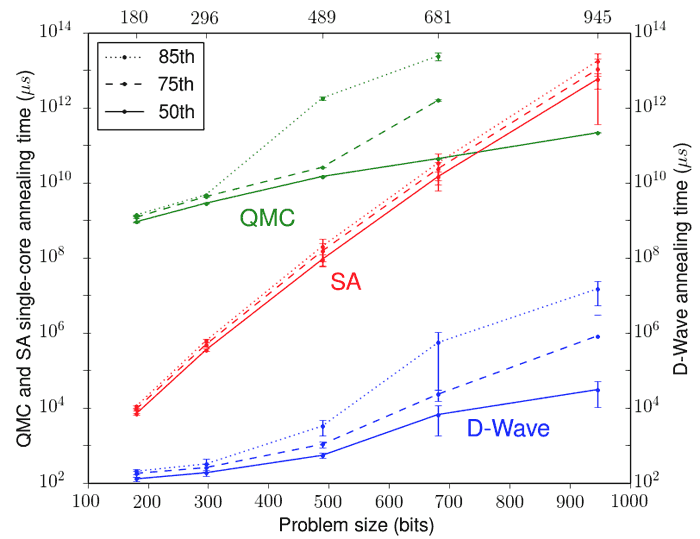 In recent tests it found that it could use a quantum annealing algorithm on the D-Wave computer to outperform classical computers, solving the same optimisation problem, by a factor of 100 million. The Google Research Blog includes the chart below. In the chart you can see comparative speeds of problem solving involving up to 100 binary variables. Google used a quantum annealing algorithm on the D-Wave computer and the classical computer was tested solving the problem with both simulated annealing (SA) and another algorithm called Quantum Monte Carlo (QMC). The vertical axis denotes time taken to find the optimal solution with 99 per cent probability for the various problem sizes. The results are very impressive. 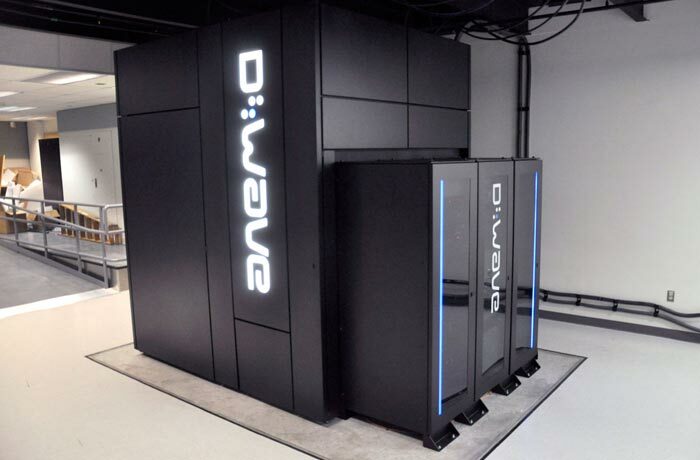 Google's D-Wave system manages to find the optimal solution for these problems more than 108 times faster than simulated annealing running on a single core and similarly as much as 108 times faster than Quantum Monte Carlo, depending upon the data set size. Following this encouraging work Google says it is going to "to turn quantum enhanced optimization into a practical technology". Looking at problems of practical relevance with the D-Wave will be attempted in the future but first Google will work on making it easier for users to input hard optimization problems. To conclude its optimistic and upbeat quantum computing news Google says that it hopes to bring the significant runtime gains to commercially relevant problems to do with machine intelligence. This entire article went straight over my head. I think it means that google's algorithm solves 100 problems in parralel in less time that the other algorithms 100-million times quicker. can I use it to mine BitCoins instead of an R9 290X?